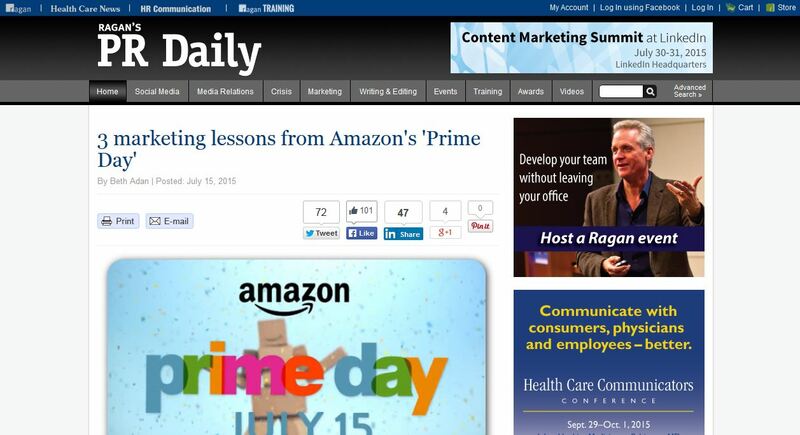 “3 Marketing Lessons from Amazon’s ‘Prime Day”” Featured on PR Daily! Were you able to experience Amazon’s Prime Day on July 15th? My recent article, 3 Marketing Lessons from Amazon’s ‘Prime Day’ has been featured on Ragan’s PR Daily!